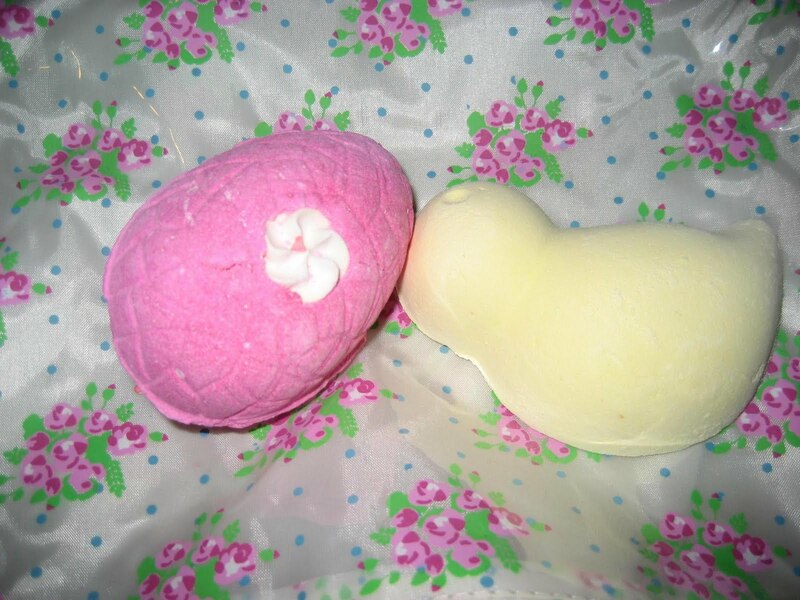 Constantly on the blogging radar, Lush has released a couple of special bath ballistics especially for Easter. As usual, they are aimed squarely at the girly girls inside all of us – pink, duckling shaped and smelling of sweets. Immediately after taking this picture, I heartlessly snapped off the ducklings head and dropped it into a nice hot bath. It smelt gorgeous, fresh but sweet all at the same time. I only used the head but it still smelt fantastic – so I think you can get at least 2-3 uses out of each of these bath ballistics. I reckon the egg shaped bath ballistic is likely to appeal to anyone who likes the candy cane bubble bar from Christmas, or the comforter bubble bar – it smells EXTREMELY sweet and is EXTREMELY bright pink. But I haven’t tried it out yet, so can’t comment on how it smells/works in action. Always worth making a stop at Lush if you want to add a bit of extra fun to bath time. These bath ballistics were sent to be free of charge (and were a bit of a surprise – I didn’t know they were coming till I opened the envelope to a waft of lush-scent) Opinions are still all my own. i bought the candy fluff egg and the honey bun bombs. can’t wait to try them! I’ve been looking at these on the website and hinting to my boyfriend that I want them for easter, haha 🙂 But I think if I pop in there today I might have to pick one up, they’re so cute!